Get involved with your community, meet new friends, and learn something new! Check out these fun volunteer opportunities in Northern Michigan. 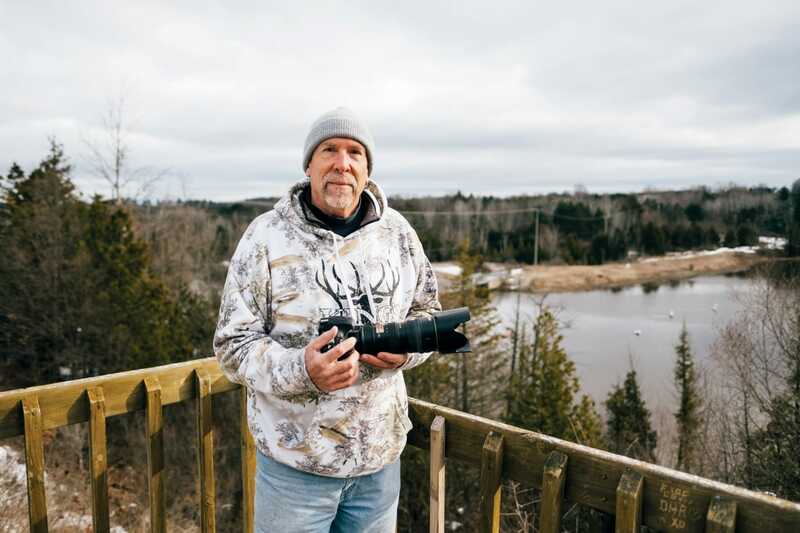 Peter Forton didn’t set out to be a volunteer for the Grand Traverse County Parks and Recreation Department. He wanted to be a news reporter. Or work in sales. Or marketing. Maybe be a photographer. Thing is, he’d done all those things by the time he moved back to Traverse City from Tennessee. And as he already had some retirement income, he didn’t need to secure a full-time job with a fulltime wage. So, he sat down with Ryan Walsh, the parks and recreation office manager. Forton outlined his vision for the position, the value he could bring. “We agreed 100 percent,” he says. So today the onetime Traverse City television news reporter, who also spent time in sales and marketing in the energy field, does media outreach in a variety of communication roles for the county’s Parks and Recreation Department. He is part of the VISTA (Volunteers in Service to America) program. It was conceived by President John F. Kennedy as a domestic counterpart to the Peace Corps and was started by President Lyndon Johnson as part of the War on Poverty. The local program is run by the United Way. Ranae McCauley is the executive director of the United Way and helps place the VISTA volunteers, such as Forton. “They work with populations in poverty,” she says. That can include working with organizations focused on early childhood or senior citizens, healthy access to food, veterans, and other groups and programs. In the case of Forton and the city’s parks department, his role is to help those seeking inexpensive ways to be outdoors and be active. As most of the park activities are free, it was a perfect marriage. Since its beginning in 1965, when VISTA volunteers served in migrant farm worker camps in California, the hills of eastern Kentucky, and the urban neighborhoods of Hartford, Connecticut, over 220,000 VISTA members have worked in all 50 states and U.S. territories. Applicants need to be over 18 years old when they start their AmeriCorps VISTA service, but there is no upper age limit. The focus of the program has traditionally been on younger people who don’t need or expect a large income. For a year of service, the program provides a stipend of around $12,000 or educational credits. For younger volunteers, the work helps them build skills and gives them experience in a number of areas. For older volunteers, it’s all about using their existing skills in service to others. “Seniors are not building their résumés. They have experience, talent and time,” McCauley says. As there is no upper age limit, she and her staff are reaching out to older people—such as Forton, who concedes he recently applied for Social Security. A nice bonus for some seniors is the educational bonus can be transferred to another individual, say a child or grandchild, to help pay their college tuition. Of the eight volunteers in McCauley’s VISTA program, two are seniors—Forton and Julie Kerr, who works at the Traverse City Senior Center. ; the other six are recent grads. McCauley hopes the appeal to seniors continues. “We recruit seniors to register, not just recent graduates,” she says. “We used to talk [only] to NMC students. Now we’re talking to organizations with seniors,” she says. As for Forton, how long does he see himself doing this? “I’ll work till I’m 70,” he says. If you are interested in the program, go to my.americorps.gov to learn more. You can also contact McCauley at Traverse City United Way, 231.947.3200 or unitewaynwmi.org. 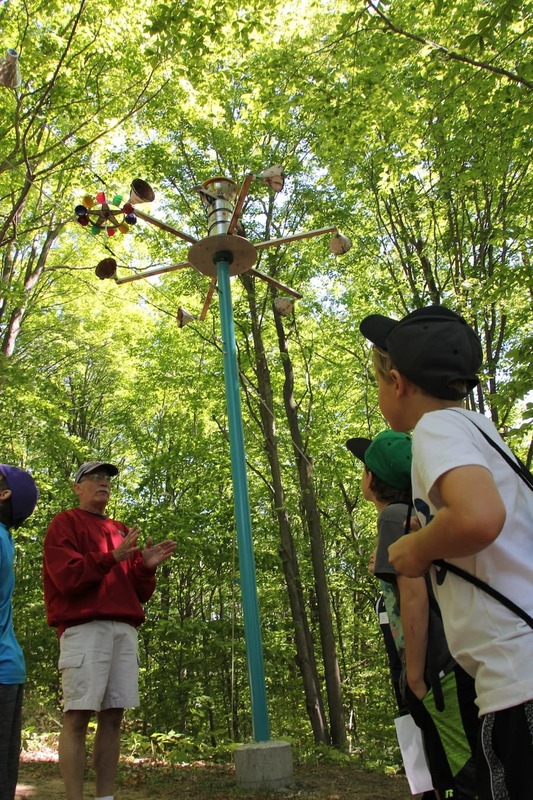 There are many different ways to get involved at Michigan Legacy Art Park, a nonprofit sculpture trail located in Thompsonville. From event planning to park maintenance and program development, there is something for everyone. One of the greatest needs and most rewarding opportunities at the Art Park are tour guides who help with school field trips. As more and more area schools have discovered this exciting option for field trips, the need for volunteer tour guides is growing dramatically as well. These volunteers lead groups of six to eight students with chaperones around the park, ask engaging questions and share a little info about the sculptures along the way. The artwork in the park is connected to the topics kids are studying in school, and guides love to see students make those connections. No art experience is required for this role. Training and resources are provided. Those interested must simply enjoy being with school-age kids and able to physically hike the park (up to 2 miles of rustic, hilly trails). For more information, visit michlegacyartpark.org or contact Troy DeShano at troy@michlegacyartpark.org. 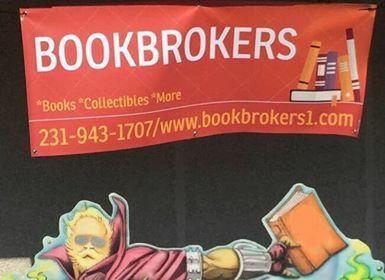 Bookbrokers is a books/collectibles store located at Logan’s Landing, Suite B (for books!) in Traverse City. The store offers slightly used and new books at 50% off, collectibles, games, gifts, and more all at discounted prices of 10% off or more. Readings, game nights, music, and art demonstrations also happen throughout the year. Owner Dan McDougall was a teacher for 33 years before starting his own bookstore. In the classroom he often said, “Whenever you say that somebody should do something, remember, you are somebody!” He applies that to his business as well by offering free career and business startup advice, résumé help, and supplying books to those in need. He works with Spark in the Dark, Norte, Disability Network, Boy Scouts, Clean Up Green Up, Cherryland Humane Society, Salvation Army, Women’s Resouce Center, and many other nonprofits. If you need assistance with your classes, finding a job, or just someone to listen, Dan says to stop on by. Doc’s Flock is a program created by Dan to raise awareness, provide a support network, and give back to the community by providing a book to every child who needs one. In addition, Bookbrokers offers volunteer opportunities for anyone who would like to work in the bookstore. Staff also volunteer for groups like Salvation Army and the Green Consortium among others. To get involved, visit www.bookbrokers1.com. These are just a few ideas to get you started. Check out MyNorth’s Guide to Giving for more volunteer opportunities in Northern Michigan!